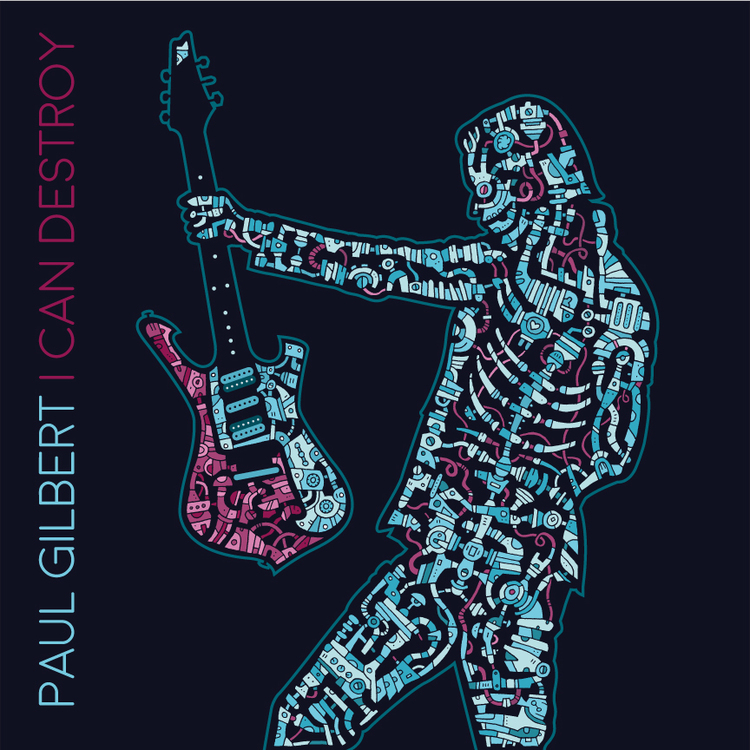 American hard rock guitarist and founding member of the band Mr. Big, Paul Gilbert will be releasing his latest solo album "I Can Destroy" on May 27 through The Orchard label. It will be his 17th solo album and this new thirteen song release touches upon many different musical genre's that Gilbert is passionate about covering. The album leads off with a swinging hard rock blues groove for "Everybody Use Your Goddamn Turn Signal," which easily would have fit into the Mr. Big songbook. Things speed up with the frantic drumming of Thomas Lang on "I Can Destroy" and the funky bass line of "One Woman Too Many" provided by Kevin Chown. Gilbert brings back memories of Mr. Big's "Green-Tinted Sixties Mind" with his solo song "Woman Stop," before things heat up with some electrifying guitar work during "I Am Not The One (Who Want To Be With You)." Gilbert straps on an acoustic guitar for the sing-along of "Love We Had," before closing the new album with the bluesy feel of "Adventure And Trouble" and the seventies hard rock sound of "Great White Buffalo." This summer, Paul Gilbert will be performing live out in California. 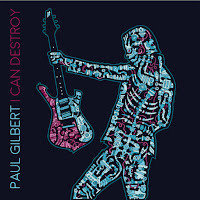 To find out more about his new album "I Can Destroy," please visit paulgilbert.com.